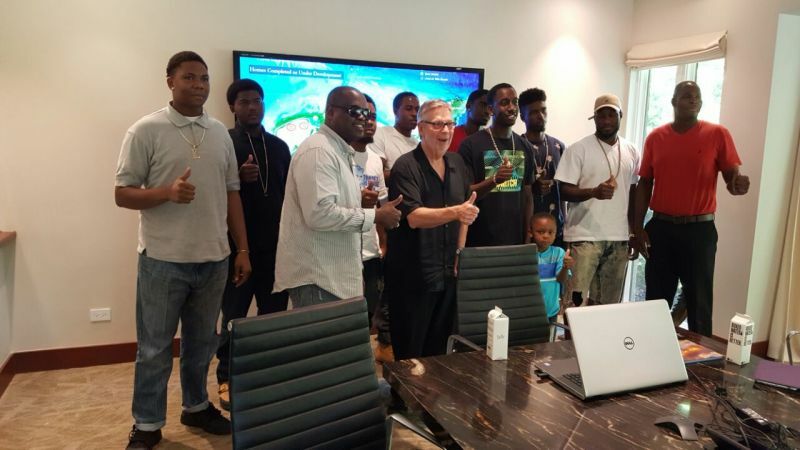 Both members and players from the junior Bayside Blazers and the senior team were in attendance and were invited by Owner of Oil Nut Bay, millionaire Mr David V. Johnson, the Chairman of Victor International. Oil Nut Bay is a sponsor of the Bayside Blazers Basketball Team. 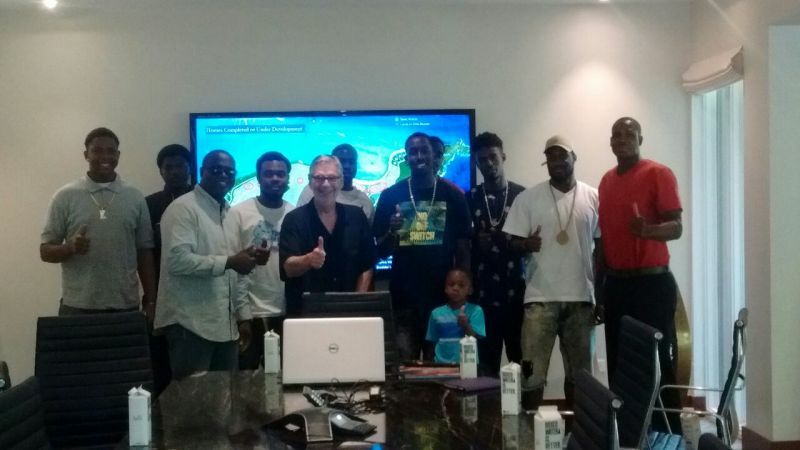 Once on the high-end property, Mr Johnson gave the team a motivational speech on what it takes to succeed, relevant life lessons about his businesses, winning, and spoke briefly on his injury in a pool accident when he was just 28 and was told he would never walk again. Mr Johnson, a visionary developer, has spent more than $100M of his own money on infrastructural development for Oil Nut Bay located on the eastern tip of the sister island of Virgin Gorda. The multi-million dollar Oil Nut Bay Project when completed will include high-end homes for sale that could range from $20M and up, with its own water and electricity, sports facilitates, children’s centre, a marina village with over 91 berths, shops and a second restaurant to name a few. 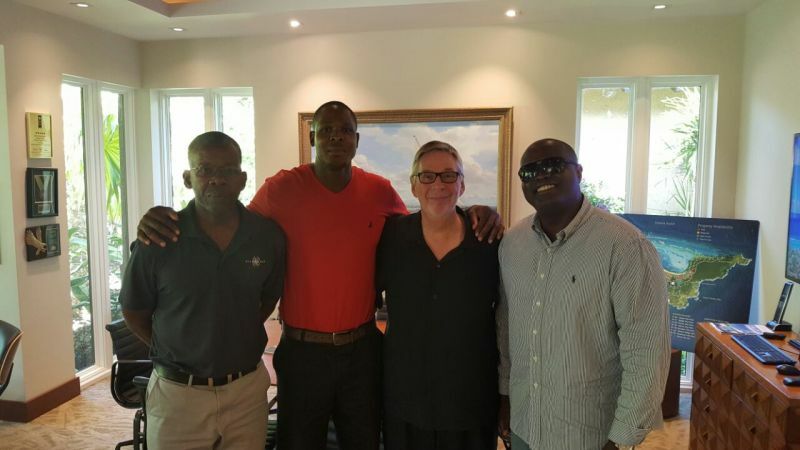 It is our understanding that many North American and European rich and famous have already purchased completed homes on Oil Nut Bay, as the project is expected to be ongoing for another ten to fifteen years, pumping money into the local Virgin Islands economy. Besides sponsorship of sporting events, Mr Johnson through his Victor International has dedicated a foundation to supporting social events on Virgin Gorda, according to Senior Executive Clyde Lettsome, who was also instrumental in organising the teams’ visit. He added that he trusts that some of the Bayside Blazers players will also embrace the “entrepreneurial spirit of Mr Johnson and become the next local millionaire developer,” Mr Willock told our newsroom. Bayside Blazers in 2014 won the Championship rings in the Hon Julian Fraser Save the Seed National Basketball League. In 2015 and 2016 they also participated in the same League, making the play offs in both years. In 2016 Bayside Blazers were the men open’s Champions in the now popular K & J 3 on 3 Tournament. In addition, just about two weeks ago Bayside Blazers won the 16-18 Championship in the K & J Tournament, a first for the newly formed Junior Bayside Blazers. The senior team made the K & J 3 on 3 Championship men playoffs, but did not win. This year Bayside Blazers will have a ‘B’ Division Team in the Federation League in Road Town and they are considering both a Jr and Sr team in the Hon Julian Fraser Save the Seed League, according to their Head Coach. Persons making the trip today April 14, 2017 to Oil Nut Bay, Virgin Gorda, beside Mr Willock, were Bayside Blazers Head Coach Rhennie O. Phipps, players Dion M. Blyden, Ryan R. Alfred, Frankly L. Penn, Kimani T. Stevens and a baller who played with the team for the 2017 3 on 3 K & J Tournament, Killven M. Samuel. 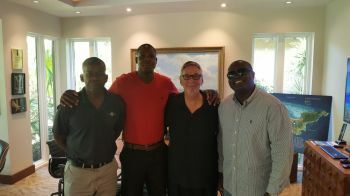 Bayside Blazers has attracted many of the Territory’s top basketball players as well as overseas players from Trinidad and Tobago, St Kitts and Nevis and the USVI. keep the good works up JW do not mind the haters!! Watch out bayside them boyz from country coming back hard. Very positive indeed. The point that we also need to bear in mind is that DJ invested in the BVI during the global recession - he was hiring in BVI when others were forced to lay off. He is making a similar investment and taking a similar risk with these young boys - it is not a risk that they will win or not win a game but, rather, a risk that, at the end of it all, they will look back and view all the exposure and experience that they are getting in a positive light that will guide them to be both valued and valuable citizens of our lovely BVI. I only wish they had prevailed @ K & J as they had the better team. So now foreign investors and outer island development and ownership is not a bad thing? All of a sudden? Haha! Bravo Mr. Willock. Stick to this pledge. We are with you.